Images can contribute a great deal to your small business SEO. 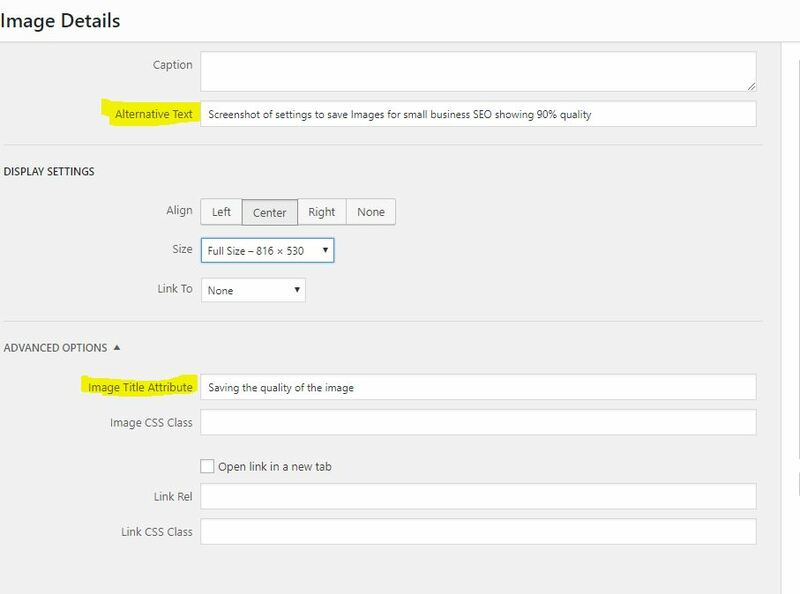 Here are some tips showing you how to add images so that they power your small business SEO to another level. The images in your blog posts should add something to the blog post, i.e. reinforce a concept. Don’t distract your readers with irrelevant images. Photos you have taken yourself that are of good quality have more value than stock images. There is no need to upload a 10MB high-resolution image to your WordPress site. It will fill up your hosting space, and it can make your page slow. Since computer screens show photos at a much lower resolution than a printed one, it is better to upload lower resolution images. Even higher resolution screens like retina display on an iPad show about 1/2 the resolution of a professionally printed photo. 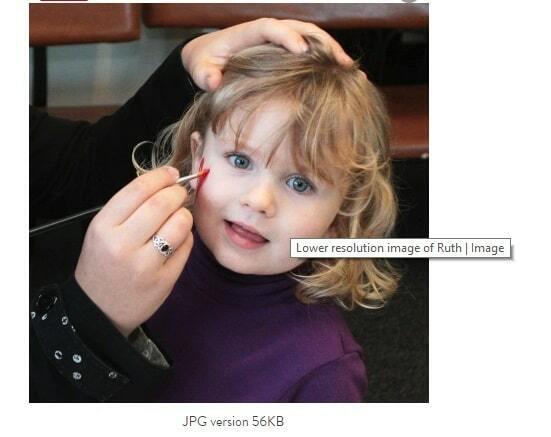 You can resize and reduce the resolution before you upload the photo to your website. Use photo editing software like getpaint.net. Instructions here how to resize an image. Paint.net also gives options when you save the image. Choose the best file type (usually jpg unless you need transparency) and also select the level of quality (somewhere between 80% to 95% depending on the purpose of the image). 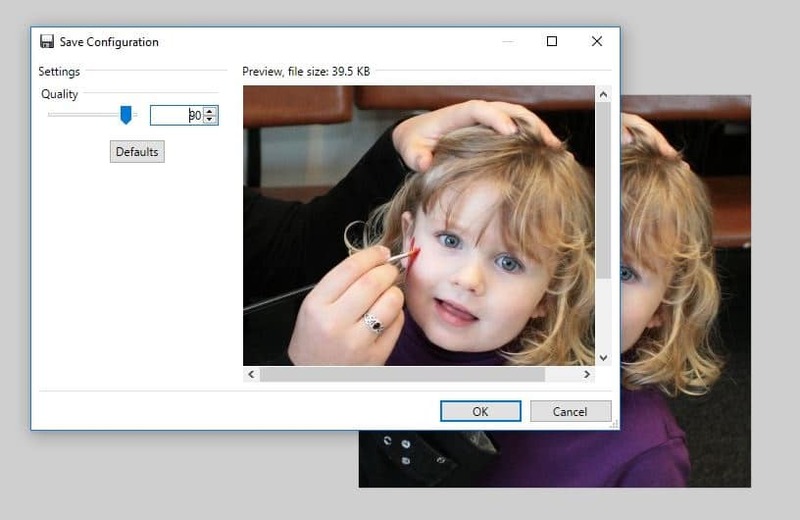 Imsanity automatically resizes and only stores the smaller sized version of your image in the Media Library. Imagify Plugin will compress the image. Read more about image compression. 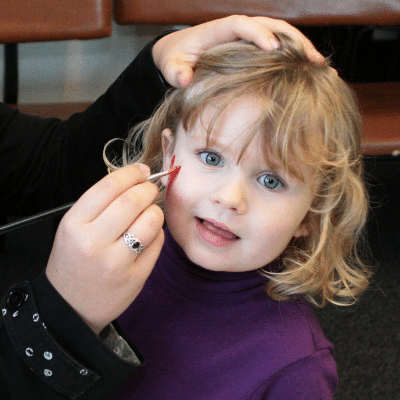 The photos below of my youngest daughter getting her face painted, illustrate the concept. One photo is 56KB, and the other is about eight times the file size at 444KB. Rename the image file when you save it. Use words that are useful, i.e. related to the concept you are trying to communicate through the photo or the content. For example, Rename the file name IMG 4205 to saving-image-settings.jpg. If the photo is showing rustic wedding flowers created for an autumn wedding, then rename the file to wedding-flowers-rustic-autumn.jpg. Use the more important keyword words at the beginning if you want the photo to ranking for wedding flowers. Always do this for purchased images, e.g. Fotolia or similar stock photos. Summary: Add a title and add alt text. You don’t need to add the title attribute. Add the title when you first upload the image. WordPress uses these words for searching in your media library, so make them useful. Technical Note: This title is a different title to the title attribute. The title attribute appears as a tooltip, i.e. when you hover over the image. For the most part, you can probably ignore the title attributes. The most important text to add is the alt text. The alt text is good for SEO, and it is also good for accessibility. The alt text should describe the photo and therefore gives visually impaired and screen-reader users better access to your website. Screenshot of where you can add or edit the image alt when you click on edit the image. Some tips for adding alternative text. I remember watching Robin Hood: Prince of Thieves with a group of friends. One of them was blind. My future husband at the time, Dave, narrated (quietly) all the action scenes. He didn’t speak when the dialogue was sufficient to follow the narrative nor when the music gave enough information to set the tone. But he did do a brilliant job of proving enough information for my friend to enjoy the movie and not miss out on essential information, e.g. silent, hidden bandits up trees but not so much that it distracted from the enjoyment and flow of the movie. When you write the alt text, consider if you could not see the image, what would you want to know about the photo or illustration? It is not everything. 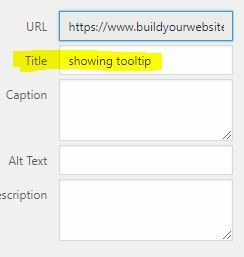 You don’t need to include information that is covered by the surrounded text, and you don’t want to dump in your keyword phrase. Certainly, include your keyword phrase but do it in such a way that is helpful. 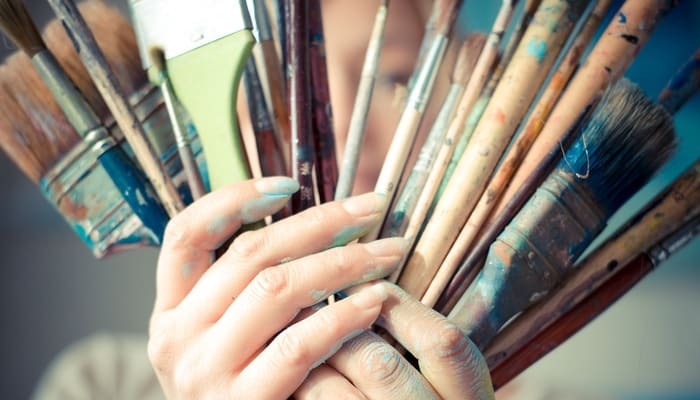 For example below, when I added the image of paint brushes on my web design page, the alternative text gives enough information to know what is in the photo and the concept I am trying to illustrate. My keyword phrase “web design” is included but in a way that makes sense. Just adding an alt text of “web design” would be inadequate. The alternative text can be powerful for your SEO, especially for e-commerce web design. For example, consider this photo of white and pink wedding flowers and its alternative text. 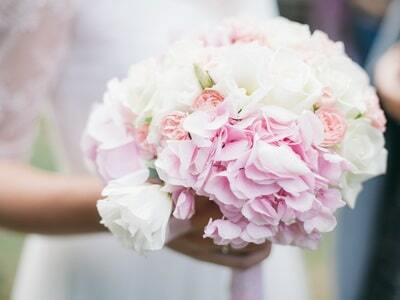 Consider a future bride who searches Google Images for “pink hydrangea wedding ideas” and finds your florist website.